"He's very compassionate and is the best Doctor I've ever had"
"Under Dr. Ngo's care, I have never felt as good as I do presently." "Dr. Ngo really knows how to make his patients feel cared for." " I feel fortunate and blessed to have someone who truly cares." "He is extremely compassionate, thorough, actually listens and treats you like a person." For almost 20 years, Dr. Vinh Ngo, an integrative health specialist, has been dedicated to improving the overall health and well-being of his patients throughout San Francisco and beyond. 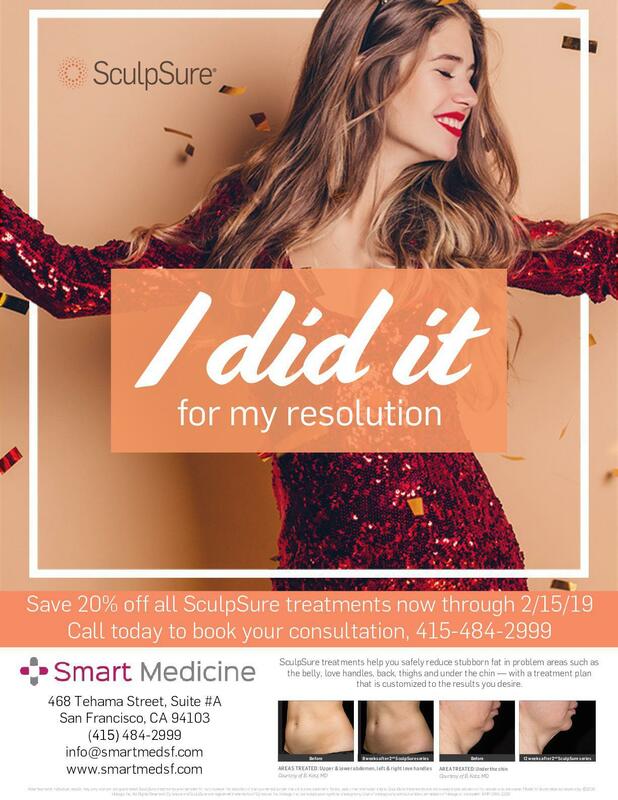 From his practice, Smart Medicine SF, Dr. Ngo and his colleagues offer a range of services including aesthetic medicine, integrative medicine, functional medicine, Nootropics, addiction medicine, medically assisted weight loss, SculpSure®, and laser body contouring. Dr. Ngo is known for his attentive nature and genuine care for his patients. Dr. Ngo earned his medical degree from New York Medical College before serving his residency at University of California San Francisco (UCSF) Sutter Santa Rosa. He is board certified in family medicine, but his deep interest and passion for integrative medicine allow him to combine conventional medicine and alternative holistic practices. He has a particular interest in hormone therapies and promoting men’s health, although promoting healthy lifestyle practices and helping his patients improve their overall well-being is his passion. Dr. Ngo considers the total health and well-being of each individual patient, instead of focusing on a specific symptom or complaint. This helps Dr. Ngo to get to the true root cause of a patient’s ailment and often relieve more than just the symptom that brought them to his office. If you are ready for a holistic approach to improving your health, call or make an appointment online with Dr. Ngo today. "Dr. Ngo is the best around! He has a great bedside manor and actually cares about his patients. Theres a big difference between him and other doctors. " "Dr. Ngo has been my primary care physician for the past 5 plus years and I could not recommend anyone more caring, informed and meticulous than him." "Dr Ngo mixes the best of being a conventional doctor but open to new treatments- whether from alternative and conventional medicine as well. " "Dr. Ngo has proved time and time again that he is an expert in his field, and will give you a modern, holistic approach to successfully meet your individual needs." "Dr. Ngo is a non-traditional doctor working hard for the most traditional result - a healthy and happy patient!" "Dr. Ngo puts together the best of conventional and "alternative" medicine with a first class bedside manner."